Training your puppy is a good idea as soon as you bring him/her home. You want your puppy to be well-mannered and behaved around other people and dogs. Your puppy doesn’t have to know how to jump through hoops or other advanced tricks right away, or at all, he/she just needs to start with some basic puppy commands. You may wish to enroll your puppy in a training class, or you can easily train him/her at home. It will be a good bonding experience and fun for both you and your puppy. Before I get into the basic puppy commands below, remember to be consistent and patient with your puppy. Start with one command and let the puppy master that command before you move on to the next one. Always reward/praise your puppy for good work. Some suggestions are training with treats, you can use small training treats, or use an apple and cut it up into small pieces. This is what I did with my dog Ellie, as apples are her favourite treat!! I also did a training session every day at the same time, it doesn’t have to be long, keep it to 15-20 minutes a day. This will keep your puppy mentally stimulated, and keep him/her from getting bored and destructive. Sit is one of the first and easiest commands your puppy should know. Perhaps he/she is already mastering this command. When you see your puppy sitting naturally on their own, you can connect the command to the behaviour, by saying “sit” and then offering a reward/praise. First step is to hold a treat close to your dog’s nose, then hold the treat up, this will make your dog follow the treat with his/her head, causing their bottom to lower. Once your puppy is sitting, say “sit”, and reward with a treat/praise. Once your puppy has gotten the “sit” command down pat, get him/her to “sit”, then stretch your arm out and show them the palm of your hand (like you are saying stop). Then say “stay”, and take a few steps back. If your puppy follows you, start again and get him/her to “sit”, then repeat until your dog stays. Gradually increase the number of steps you take away from your dog before giving a treat. You want your dog to come to you when called, as this command can keep your dog out of trouble, for example if your dog happens to run out of your front door and down the street, into traffic. Get your puppy to “sit”, and “stay”, then when you are a few steps away from your dog say “come”, you can clap your hands or use excitement in your voice, but usually if you show the treat, your puppy will come running to you. You can gradually increase your distance each time. The “down” command, can be a little more difficult. You are asking your dog to be in a submissive position. First get your dog in a sitting position. Show your dog a treat, in your hand. Lower the treat in your hand to the ground toward you. Your dog will follow the movement, lowering his/her head, and stretching toward the treat. When your dog is in the down position, say “Down”, and give the treat. The “leave it” command is definitely one that you will want your dog to know, as it can keep them from getting into trouble. 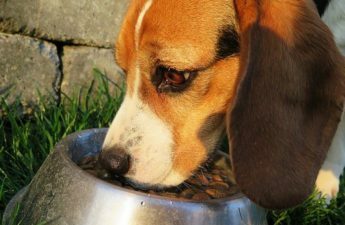 For instance when you are out walking, and your dog gets curious and sniffs at something that he/she may want to eat that is potentially dangerous. Wait until your dog ignores the treat, and looks at you. Then say “okay”, and let your dog have the treat. You can also try this command when your dog is in the “down” position, and place a treat on one of their paws, and ask your dog to “leave it”. The command “give paw”, is not a life saving one, but it is a fun one for your dog to try. This command was actually my dog Ellie’s second one that she learned after “sit’. I remember it took her probably a week or two to learn, but after she learned it she was doing it all the time, even when we didn’t ask her to. Keep repeating this, and eventually your dog will give paw on his/her own. Keep in mind, that the above commands are the basics, and should be incorporated into your dogs daily routine. Training should be fun and rewarding for both you and your dog. Never get upset with your dog if he/she is not getting what you are asking, it is a process that takes a lot of time and effort. Also remember, that there will be times when your dog will not listen to you, just like a teenager not listening to their parents. Dogs do have a mind of their own, and when they want to do something like chase after another dog or squirrel, they will do it, no matter what you have instructed. I can’t even count the number of times my dog Ellie has disobeyed me and gotten herself into trouble, while having fun at the same time. 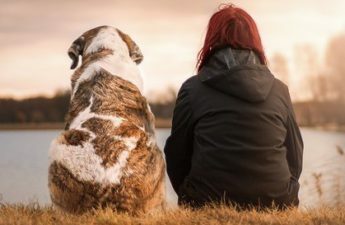 As a dog owner you just have to try to keep your dog as happy and safe as possible, we as humans are certainly not perfect, and shouldn’t expect our dogs to be either.